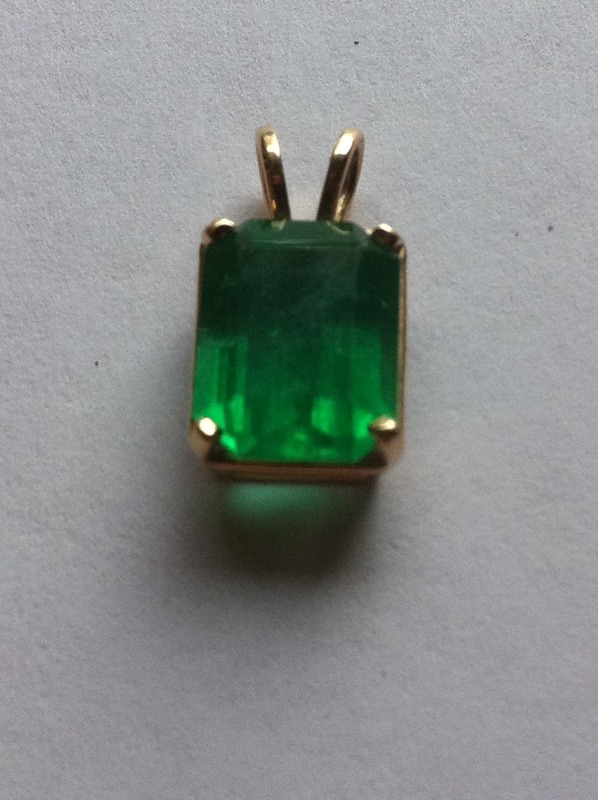 Emerald is the Birthstone of May, a beautiful spring green, it is the perfect stone for May. Actually, Emerald is rarely perfect, that is, rarely without inclusions, (many inclusions are microscopic), but it makes up for that by being possibly the most valuable type of Gemstone! Have you heard of the Patricia Emerald? The Emerald was mined in Columbia (I’m pretty sure the Patricia Emerald Mine), though the “blast” (dynamite) that uncovered it destroyed a larger Emerald of equal quality! Today, the Patricia Emerald is still uncut, because if it were cut, it would decrease in size, making it the second largest known Emerald in the world! 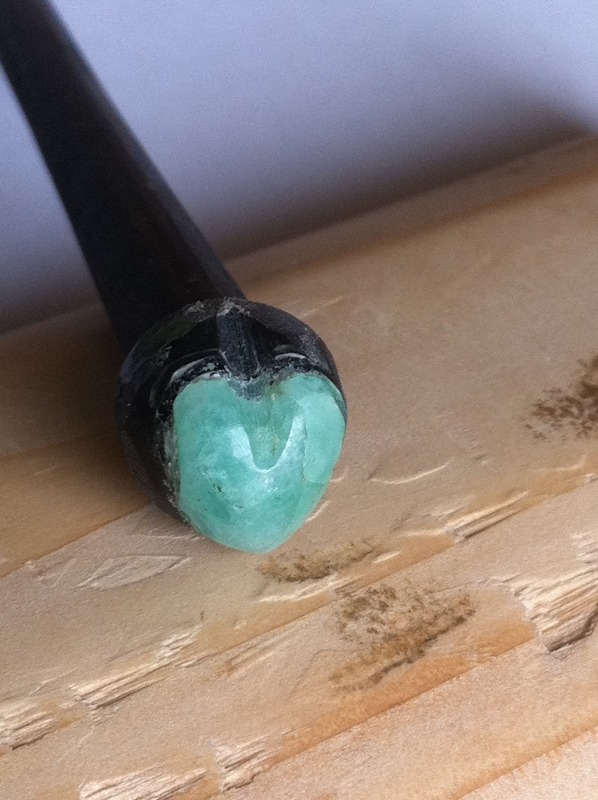 The stone in photo #1 is not an Emerald, (I just posted it because that’s almost exactly what Emeralds look like!) though the hardness is the same as Emerald. Meaning it could be Tourmaline; though it could also be a man-made stone. Sorry, I was able to get the S.G. of the stone and (approximating the weight of the mount) it, along with the streak and Hardness show that it is indeed an Emerald. In the second photo is also an Emerald, in fact, I “cabbed” it myself! (it’s the Emerald I bought at the Gem Show) The reason I got it for only $2 is because, well, look at all the inclusions! This entry was posted in Uncategorized on October 27, 2010 by Captain Belaq.